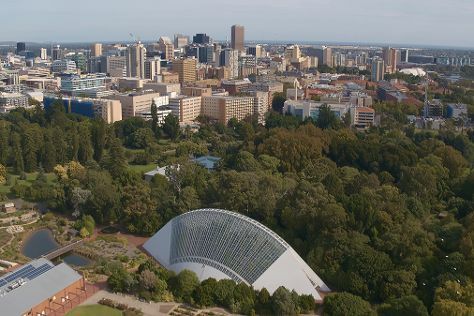 Once considered a sleepy city, Adelaide is undergoing a rapid transformation with a burgeoning small-bar scene, world-class art and music, and a festival calendar to rival that of any other Australian city. Discover its laneway secrets, take in the stunning flora at the Adelaide Botanic Gardens, and find delicious treats around every bend. International and domestic flights arrive at Adelaide Airport, which is a 15 minute drive from the city centre or 25 minutes via public bus. There is also a door-to-door shuttle service from the airport to city hotels. Adelaide is in Greater Adelaide. Plan your tour of Adelaide and Australia travel itinerary using our Australia day trip planning tool .